Here are two little cats with Santa hats wearing a big smile. 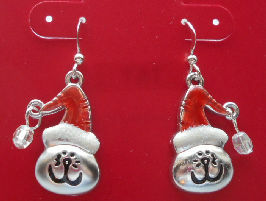 The cat earrings are 3/4" high x 1/2" wide. New.